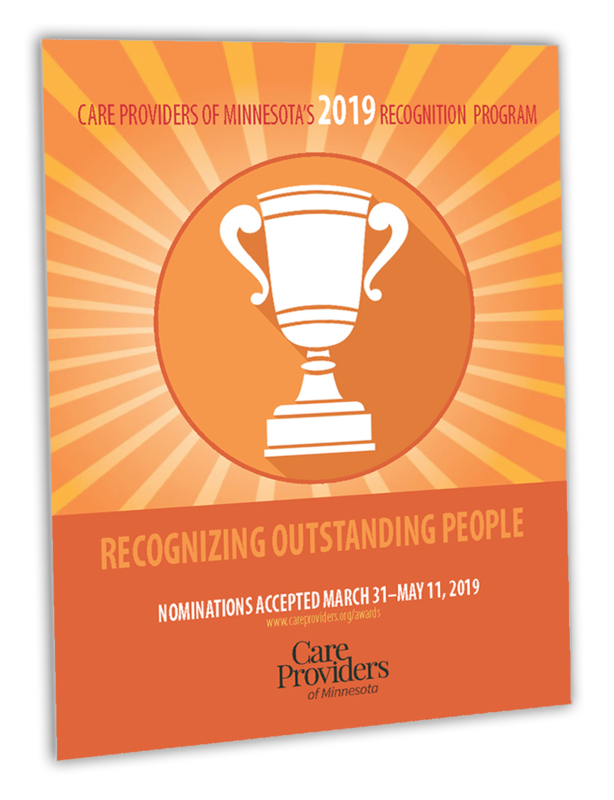 Care Providers of Minnesota's 2019 Awards Program is now open! Check out the eight award categories listed below. The ADMINISTRATOR/EXECUTIVE DIRECTOR/SENIOR LIVING MANAGER OF THE YEAR AWARD recognizes the achievements of an individual at the senior leadership level (administrator, executive director, senior living manager) for his/her leadership contributions and skills. The Caregiver of the Year Award honors a nursing aide (CNA/TMA/HHA/NAR) who displays extraordinary skill in caring for individuals residing in a care setting. The Dedicated Service Award celebrates longevity in the senior care profession! This award recognizes any employee whose service over the course of his/her career—a minimum of 20 years— has positively enhanced the quality of life for individuals in a care setting. The employee’s efforts demonstrate a commitment to their organization and the care-providing profession. The Employee of the Year Award recognizes an employee from any discipline and all service lines for his/her contributions that have improved the quality of life for residents/clients/tenants and/or enhanced the working environment for coworkers. The Innovative Program of the Year Award recognizes an individual or team that has tried something different in their delivery or provision of a program or service. It recognizes out-of-the-ordinary efforts to enhance the lives of residents/tenants/clients, staff, or volunteers at a member organization. HINT: Think PIPP (performance improvement projects). YOU CRACKED THE CODE...CONGRATULATIONS! NOW TELL US HOW YOU DID IT! The Nurse of the Year Award honors an individual who displays extraordinary nursing skills in caring for individuals residing in a care facility/senior care. YOU DESERVE 365 DAYS OF PTO, BUT HERE’S AN AWARD INSTEAD! The Rising Star Award recognizes the contributions of an employee from any discipline, who is new to his/her profession (within the last 3 years) and has made an impact in his/her years of service. Volunteers are precious. They freely give of their time and talents, with no expectation of recognition. The Volunteer of the Year Award recognizes a youth, adult, or group of volunteers who have made contributions to the quality of life for residents/tenants/clients or family members, or to the working environment for staff. March 31, 2019: Care Providers of Minnesota 2018 Awards Program begins! April 2019: National Center for Assisted Living Awards Program begins! May 11, 2019: NOMINATIONS DUE! Award nominations are read and scored by Care Providers of Minnesota’s Recognition Task Force. 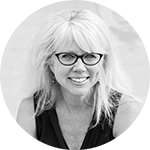 If you are interested in being part of the Recognition Task Force, find out more here or contact Lisa Foss Olson (952-851-2483). Our national Association's Quality Award Program provides a pathway for providers of long-term and post-acute care services to journey towards performance excellence. Find out more on the National Award page! If you have any questions, comments, or need help with award nominations, contact us!